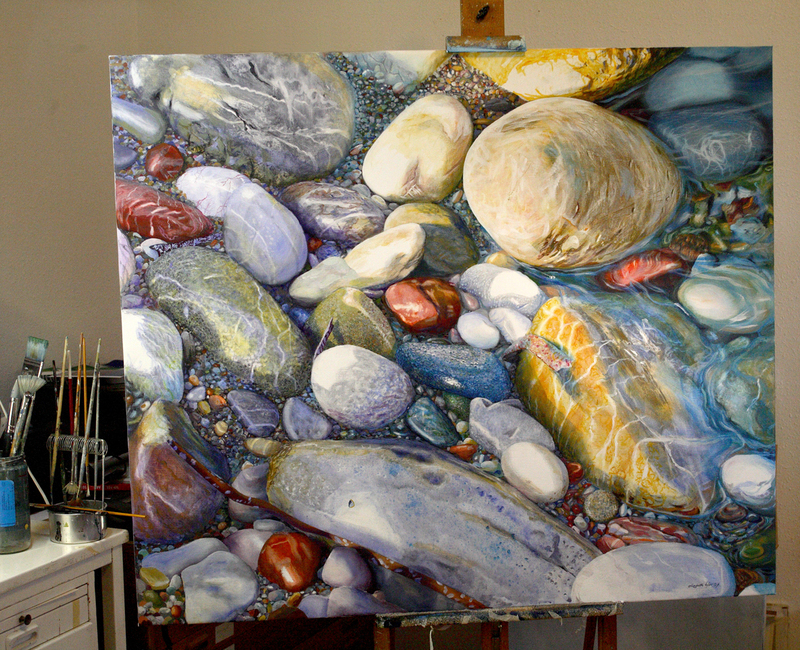 The finished painting "Stones" acrylics on canvas. I've just submitted one of my painting videos to Winsor&Newtons (artists materials) competition for artists to show what they can do with acrylics. The video has to be rated by site visitors so I hope you will take a look and vote for it. Sorry about the low res quality, the original is better but it deteriorated in the uploading process. composed and played the music specially for the video. 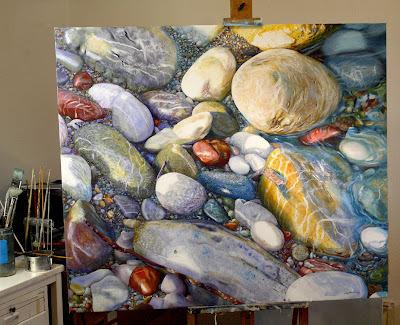 This 4 minute video is actually an excerpt from the hour long educational art video I produced in 2008 on DVD: "Realistic painting with acrylics". when I saw Winsor & Newton were calling for entries to their competition about acrylic painting techniques I thought I might try. It took quite some time though to edit the video to fit the 4 minute limit required. If you like it please click on the "rate this" tag. You are so unique and amazingly gifted. I have to join. Greetings from Australia.